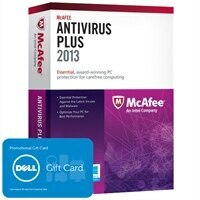 If you buy McCafee Antivirus Plus 2013 from Dell for $30 which works on 3 PCs, it comes with a $50 Dell eGift Card. Start you purchase from the ShopDiscover Portal from the Discover It Credit Card and you will get another 10% cashback. 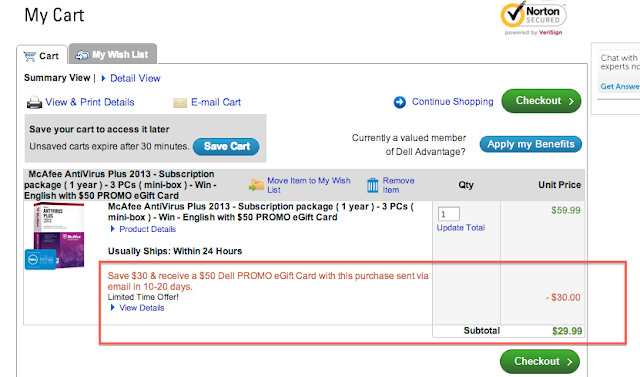 Start your purchase from Ebates and get 4% cashback as well. You will still get your normal cashback from your credit card as well.